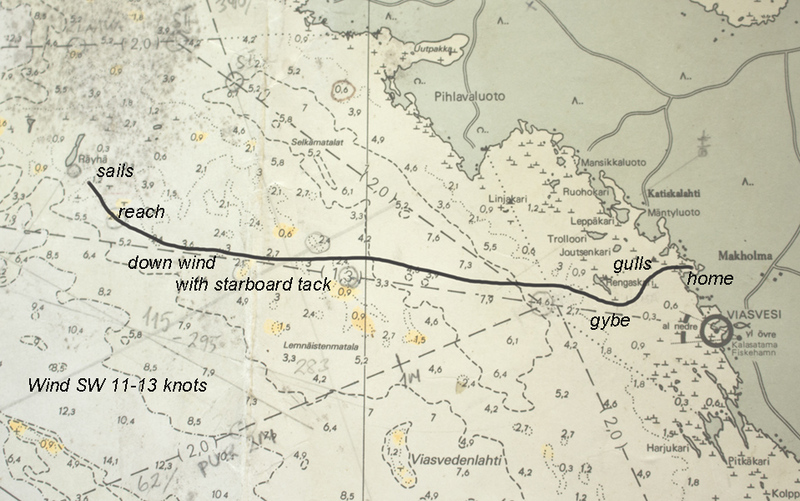 Sailing singlehanded old oak skiff Bris (LOA 22 ft, DEPL 1,5 t) four nautical miles (7 km) home to Makholma from Rayhat Reef. Wind mostly WSW to SW 11-13 knots. 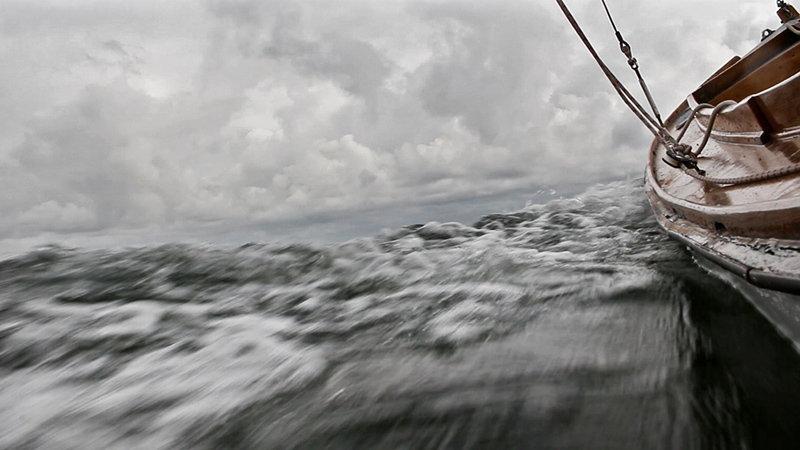 In the start I had to use motor for coming upwind from the shallow Reef. Then setting the sails is heard, after that the acceleration of the hull when the sails catch the wind, a broad reach for five minutes, then a sailing in nearly downwind with good, near hull speed. (38.30 eating a doughnut from a paper bag) At 1.00 hour a gybe, and a turn to sheltered water is made. 1.05.00 Passing a colony of Black Headed Gull and after that coming inside the harbor channel and to home dock.